A fun skirt for casual days. 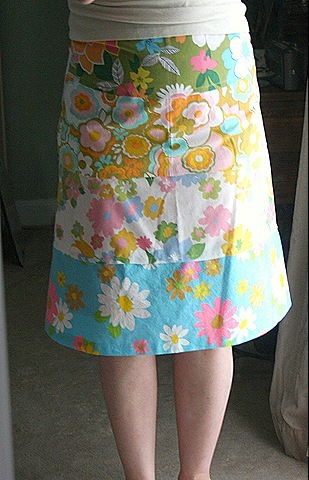 Your hippy apron is adorable – you have such great style and a fabulous eye for color. Also love your new porch sofa fabric. That is one cute skirt!!!! Such a cute skirt with great color. I should sew more. I love it! It’ll be fun to wear! What a marvelous skirt! Love it!! Oh my! What an awesome skirt!!! Sometimes a gal just has to take it easy on a Sunday. Now you have something for NEXT Sunday!